If easy installation is a priority for your new floors, this Prestige Nashville Oak laminate flooring by Kronoswiss has just the solution you've been searching for. With its super-simple locking system, it's easy to install this new flooring in your home without having to pay a professional. This affordable flooring option also proves to be an excellent value thanks to a 15-year warranty and the durable laminate construction. It's sure to hold up well in even the busiest households with pets and kids. You'll also be getting a simple and effective makeover for your home when you choose this Prestige Nashville Oak laminate flooring. 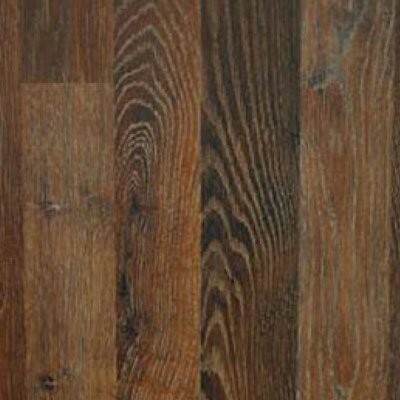 The darker brown tone has beautiful wood grain, and the coordinating transitions and quarter rounds allow you to easily incorporate this new flooring style into your home. Find the perfect fit for your budget and your style when you shop at iDeal Floors. When you browse online or in our stores, you'll get a great selection and assistance from our friendly team of flooring experts.